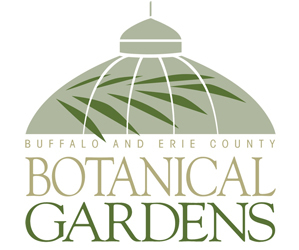 The wonderful shows at the Buffalo and Erie County Botanical Gardens can give you lots of great ideas that you can use in your own garden or home. Here are four spectacular looks from last year’s succulent show that you could adapt for your own home. Get more ideas at this year’s succulent show to be held from 10 a.m. to 5 p.m. daily from Saturday, Sept. 7 to Sunday, Oct. 6 at the Botanical Gardens, 2655 South Park Ave., Buffalo. Tickets are $9 for adults, $8 for seniors ages 55 and up and students ages 13 and up with ID, $5 for children ages 3 to 12 and free for Botanical Gardens members and children under 3. Gardeners Julie McDonald and Teresa Mazikowski, who designed the show, like to get creative. Let’s start with the mirror above. The frame was garbage picked, McDonald said, and the mirror in the center came from an old medicine cabinet. The frame has a wooden backing and the mirror is glued to the backing. 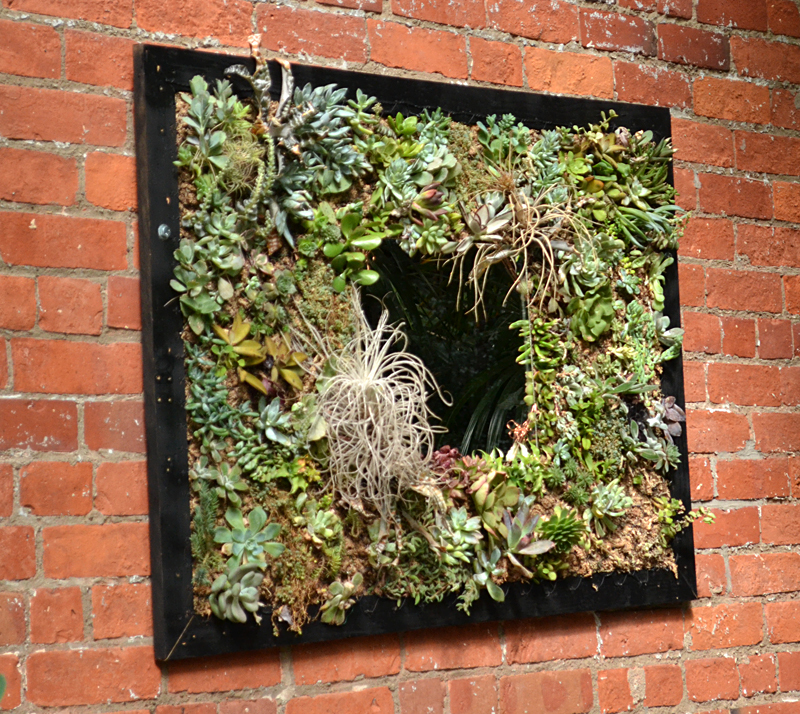 If you want to make a project like this, you’re going to fill the area around the mirror with sphagnum moss. 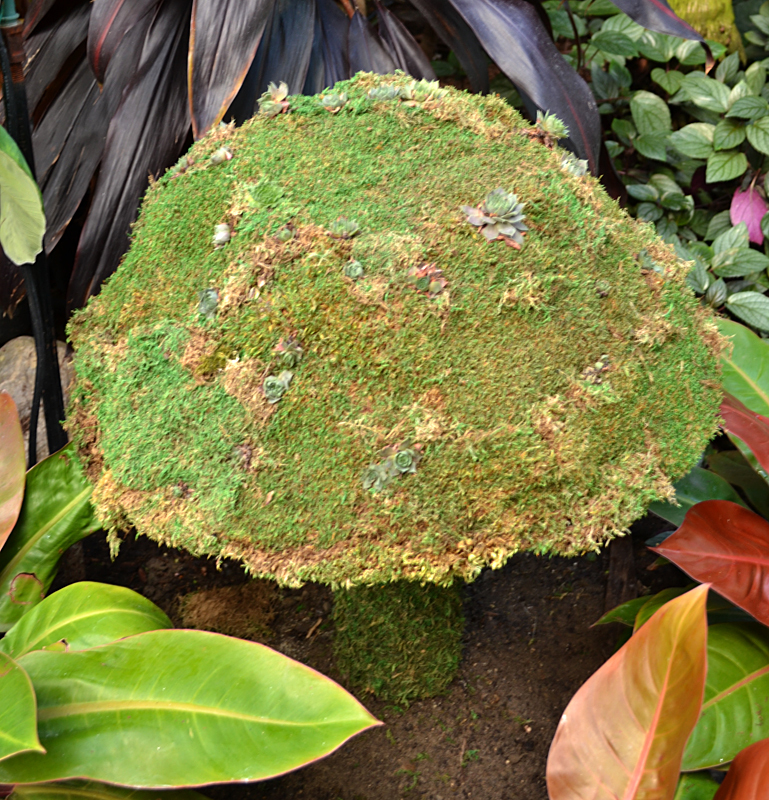 The sphagnum moss will hold moisture. Don’t use Spanish moss, McDonald said; it won’t last. Soak the sphagnum moss in water. Add a layer of moss to the frame. Using a staple gun, attach some plastic netting (the kind you use to keep deer away from your plants) over the moss. Using thick gauge wire, pin the plants in place. Let the frame set horizontally for a couple weeks until the plants have rooted. She also pointed out that as the succulents grow, they get leggy, so this may be a temporary decoration. A similar technique is used for the mushroom above, which would be a great piece outdoors. The gardeners took a wire flower pot and turned it upside down. They wired thick plastic netting to the pot and glued preserved moss to the netting. A section of a large cardboard mailing tube formed the stem. The tube was wired to the inside of the basket and covered with moss. You can add hens and chicks or other succulents. The simple cone shape at right could make an interesting Christmas decoration. It’s simply a tomato cage turned upside down. The legs of the cage were wired together a few inches from the top. The legs were splayed enough at the top to form a pocket where a bromeliad plant could be inserted. Netting was wired to the cage and presoaked sphagnum moss was added to the inside edges. Sphagnum moss is expensive and heavy, so you don’t want to fill the entire tomato cage with sphagnum moss, McDonald said. Wire the succulent cuttings in place. 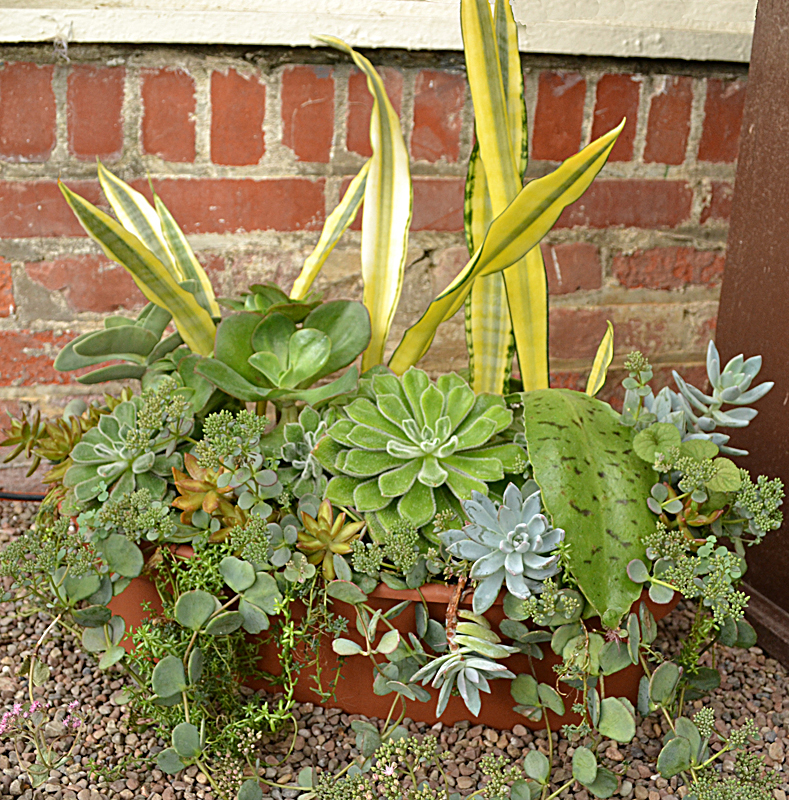 You can add a lot of interest to your garden or home simply by mixing succulents in a container, as you can see below. Start with some height for the background, McDonald said. In the photo below, you’ll see sansevieria, also called snake plant or mother-in-law’s tongue. There are many varieties of sansevieria– this one is yellow. Add shorter plants, then add your smallest plants, even cuttings of a plant, last. 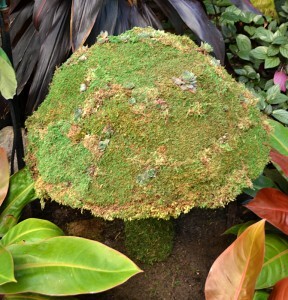 Also look for plants that have different widths, shapes, colors and textures. In addition to the very wide leaf, there are echeveria shaped like flowers. Some are fuzzy. This container has plants in various shades of green and yellow and some tinged with purple or red. Other plants trail and cascade down the side. 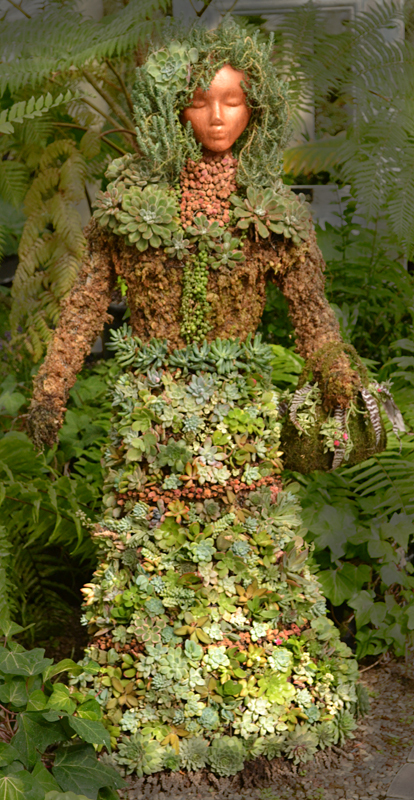 You probably won’t do a project like this last one at home, but I couldn’t resist closing with a photo of the lady dressed in succulents. She is so popular that she has been displayed even after the show ended. Chicken wire forms her body. A vertical broomstick acts as a spine to keep her upright and a horizontal broomstick supports the shoulder area. Other upcoming events at the Botanical Gardens include talks by horticulturist David Clark. He will present “Plants in Motion Pictures” at 6:30 p.m. Wednesday, Aug. 21 and “Ten Plants that Rocked History” at 6:30 p.m. Tuesday, Sept. 17. Tickets for each event are $24 for the public and $20 for Botanical Gardens members and include beer, wine and light refreshments. Ann, I wish I could have stopped by! I did cover the Starry Night Walk– see the story here. I wish I could go back and see old friends, too, but there just isn’t time. When I’m taking photos in a garden, people will often ask me, “Do you take pictures of all the gardens on this garden walk?” Yikes! I spend an hour or two at each home I cover, and I often have to cover two garden walks, sometimes in different counties, on the same day between the hours of 10 a.m. and 4 p.m. And my work is just starting– I have all the writing still ahead of me. It’s a fun job, but it is work that is ruled by deadlines. Sometimes I feel a little envious of visitors who can just stroll from garden to garden. I hope I don’t sound like I’m complaining because I really love what I do. I just don’t want people to think badly of me when I can’t be in as many places as I’d like to be. Please say hi to Rosie– she’s a lot of fun. Thanks for writing. Wow, never would of thought sculpting with succulent cuttings. Awesome!